We love what we do, supporting clients. You may be surprised that we work with specialists too. We’re always learning new tips, and keeping up to date of new software and algorithm changes. We may sometimes suggest you learn from a specialist, and/or we’ll walk alongside you and a specialist with a particular project. We’ll always give you options, as we all learn in different ways, and what suits your business partner, may not suit your style. One of our favourite companies we often refer clients to, offer training, coaching and 1 to 1 support, are Sarah and Kevin Arrow from SarkeMedia who run the Online Visibility academy. We’ve worked with Sarah and Kevin for years, so we can highly recommend their work. Some of our own courses dovetail into their work, like our Get your website working course will lead you onto some of their courses for more detailed work, learning about a specific area of work, or to really drill into an area you need to really master in your business. Leads and LinkedIn – This package to teach you how to use LinkedIn to generate more leads is taught through daily emails with a task to learn or do each day. The Leads and LinkedIn programme is supported by the Arrows through a LinkedIn group (where else!). If LinkedIn is where your potential clients hang out, then you need to be there to hang out with them too. Business Blogging Challenge – This is a 30 day challenge, delivered by email every day, which takes you through everything you need to know about Business blogging. From why you should have a business blog, to how to set it up, to keywords, (what they are and how to find yours), images, linking, guest blogging, and all things in between. This challenge is supported by a Facebook group which has over 4,000 people either doing the challenge or who’ve completed it. Optimise Anything – Just like it says, this course will teach you how to optimise anything. Not only is it important to optimise your website to be found for your keywords, but you’ll also learn how to optimise your Facebook page, your Instagram account, your twitter feed, and many more things you may not have thought can be optimised. Ensuring everything is optimised helps your online visibility, and ensures people find you and trust you for what you do. This programme is delivered in an online course format, with tutorials, checklists and support. You go as fast or as slow as you want. Create a business website from scratch – Using WordPress. Step by step tutorials to show you how to set up a wordpress website from scratch. Yes, it’s that simple! Client Clairvoyance – Find out what your clients are looking for, and develope your business to suit their requirements. Then use that knowledge to market to them in the way that suits them best. If you’re currently unsure what your clients are really after, this will lead you through a step by step process. Delivered on their course platform for you to go as fast or slow as you like. Autumn Bundle of Awesomeness – An amazing package of a variety of courses with Sarkemedia old branding which they’re virtually giving away at this price! Even if you don’t need something right now, grab it as you have lifetime access to all their courses. 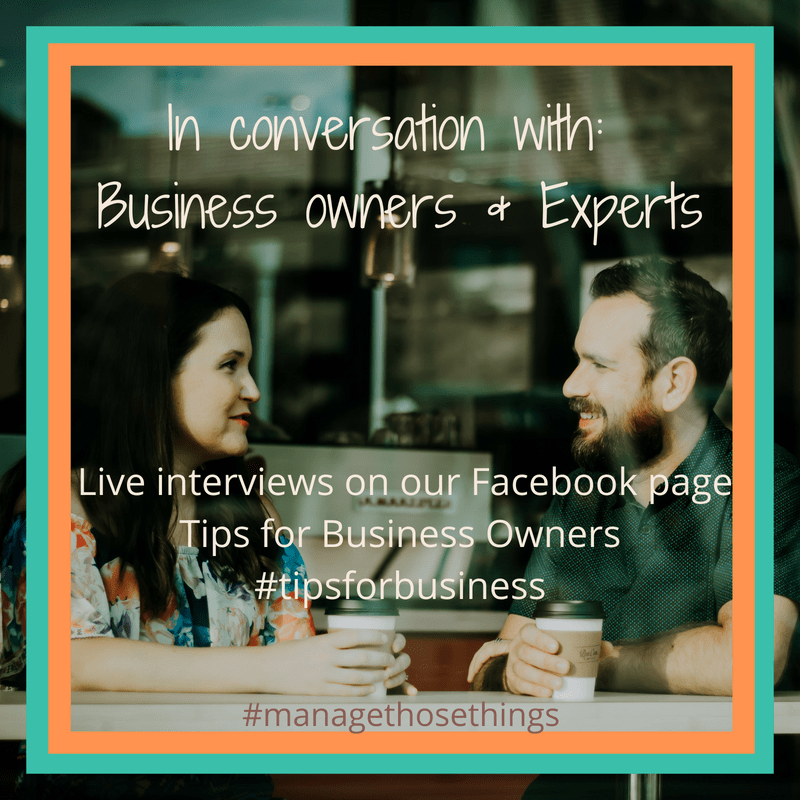 Manage Those Things can help you manage all aspects of your business. Sometimes, however, we’ll advise you to work, or learn from, specialists, like Sarah and Kevin from Sarkemedia. If you’re wanting to improve your Online Visibility, talk to us about your goals and where you are now, and we’ll advise the best way forward for you. Have you done any of Sarkemedia’s courses? Are they right for you?